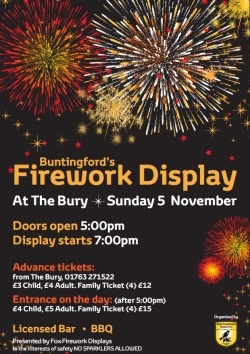 On Sunday 5th November the club is holding its annual firework display at The Bury. As usual, there will be a licensed bar, kiddies rides and a BBQ. The event this year has been kindly sponsored by Buntingford Town Council.